The California Extremely Large Telescope (CELT) utilizes a segmented primary mirror made of 1000 hexagonal mirror segments. It requires a total of 3000 segment actuators for operational conditions. Each of the primary mirror segments must be positioned relative to adjacent segments with nanometer-level accuracy. This is accomplished using three actuators for each segment to actively control the segment in tip, tilt, and piston. The Keck telescopes utilize a segmented primary mirror similar to CELT employing a highly successful actuator design. However, because of its size and the shear number of actuators (3000 vs 108 for Keck), CELT requires a different design. Sensitivity to wind loads and structural vibrations, the large dynamic range, low operating power, and extremely reliable operation, all achieved at an affordable unit cost, are the most demanding design requirements. 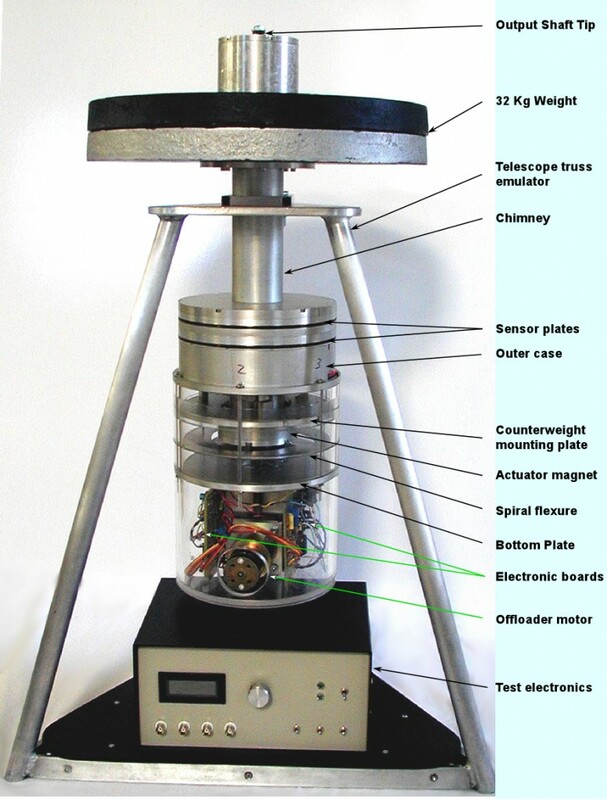 A team consisting of ACSD, Clappier Electronics, Gizmonics, and Marjan Research developed the CELT actuator. Four concepts were studied. The concept that best meets the CELT requirements is based on techniques that achieve the required accuracy while providing a substantial amount of vibration attenuation and damping. A prototype actuator has been built to validate this concept. Preliminary tests confirm predicted behavior and future tests will establish a sound baseline for final design and production.